Have a gut instinct that your Valentine is being disloyal to your true love? Then don’t overlook, and wait for him to unveil this dark truth, get a spy software to track his text messages and email activities, through his cell phone. What is a Cell Phone Monitoring Software? 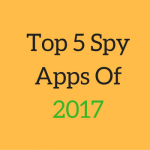 A spy app is a program that aims to gather information from a target cell phone such as call and text logs, location tracking, instant messenger chats, and internet surfing history. What’s remarkable, it does it work without the knowledge of tracked user and sends the data to an authorized person (the user) for remote viewing. Now, you can easily spy cell phone of cheating boyfriend, as tracking software of today have become explosively popular and more invisible than ever. These powerful apps are coded to perfection allowing you to keep watch over someone’s incoming and outgoing text messages via the tracked phone. Take a glance at the target phone’s SMS inbox, and sent messages record. Read the content of sent and received, each message. Get the contact details of the recipient and sender of each text message. Access the target phone’s email account inbox, and sent message box. Read the content of each sent and received email. Get the email address of the recipient and sender of each email. How and Where to View the Data Recorded by the App? Once, you satisfy the prerequisite of the cell phone spy product you opt for, log onto to your online supervisor account to access the data obtained by the spy app. Here, the information is updated at a regular interval of time, by the software itself. Teens of this digital era have become more tech- savvy than ever, they have got a smartphone at an early phase of their life, in comparison to our schooling days. But, according to many researches and surveys, most of them, are not aware of the dangers of the internet, and how to deal with them. Kids cell phone spy software provides concerning parents a facility to access their teen’s email account and read their text conversation. 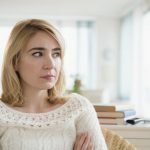 Is the thought of data breaching pushing you back when comes to spying on your teen or boyfriend’s cell phone activities? Then, don’t worry or get misguided, as spy software, nowadays have become more advanced and robust dissolving every possibility of data breaching. In addition, these companies promise that they don’t sell their customer’s personal data to anyone. Spymaster Pro is the name that has been echoing in the cell phone industry over the last few years, because of its innovative features, reasonable pricing, and unmatched customer support. So, don’t think or rethink, visit their official website, and check out their subscription packages.